Did you catch "Chronicle" on Channel 5 Tuesday night? The show featured many of the 56 official Massachusetts symbols, including the ladybug. 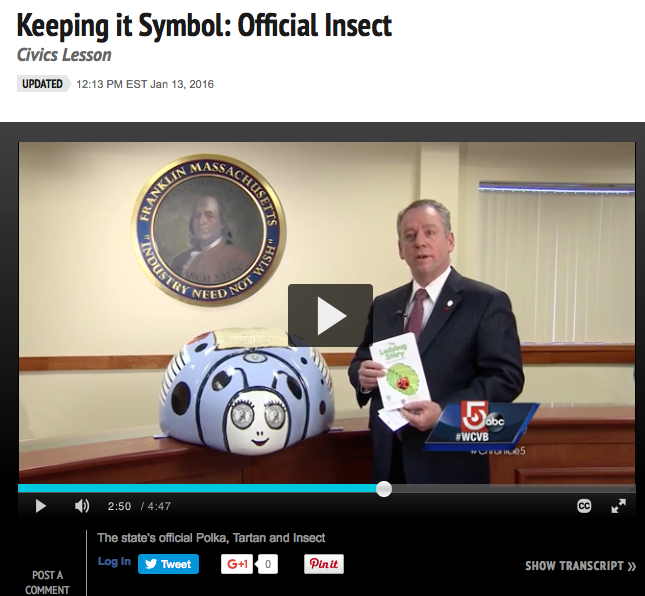 A screen shot from the WCVB website shows Rep. Jeff Roy speaking at Town Hall about The Ladybug Story booklet. The story of the Kennedy School second grade class of 1974's efforts to have the ladybug named as the official state insect was highlighted as part of this show. Follow the link below to watch the segment on the WCVB Chronicle website. The fiberglass painted ladybugs from the Cultural Council's project, as well as Representative Jeff Roy, Town Hall, the Franklin Public Library and the Franklin Art Center, made appearances. 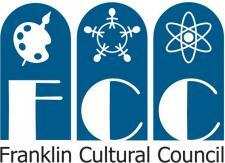 The Franklin portion of the story begins after the Polka segment, at 1:45.